I did it again. A friend told me about someone at church who’d been taken to the ER. “I’ll pray for her,” I offered. I meant it, too. A few days later, though, it hit me. I had forgotten to pray for her! Oh, I say prayers every night. Every morning, too. But as embarrassing as it is to admit it, I don’t always remember the specifics of who or what I need to pray for. My prayers are heartfelt, but they often become a vague sentiment rather than the concentrated focus I’d like to convey. My forgetful brain gets in the way of a purposeful prayer life. Prayer holds a power I strongly believe in, a power of healing, of peace, of hope. How frustrated I become with myself when I, such a strong believer in prayer, can’t remember who I’m supposed to be praying for! Because of my desire to lead an active, intentional prayer life and my inability to remember the specifics of who and what I need to pray for, I put together my own prayer journal to help me focus and be intentional in my prayers. While I still pray throughout the day for whatever may strike me, I’m able to use my journal to pray intentionally for those who need it. If you’ve ever felt like me and wished for a more focused approach to prayer, this free journal will help. Just fill out the form below, and get your free journal delivered directly to your inbox. Have you ever said you'd pray for someone and then forgot? I have! 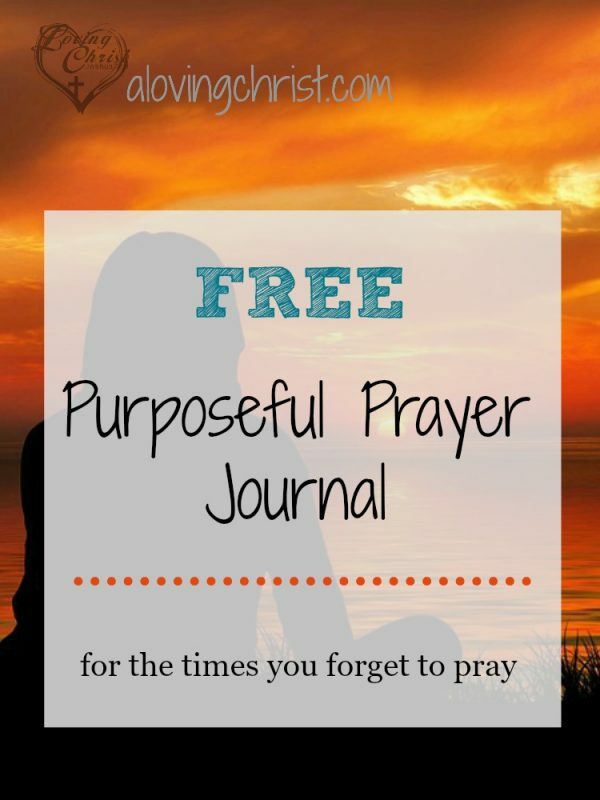 Use this free purposeful prayer journal to write down prayer requests and concerns so that you'll never forget! Success! Now check your email to get the link for your prayer journal! is this the form to fill out to get the journal? Hi Falon. Yes, it is! How many pages is the journal?